Now that the dust is settling, it's time to start the comparisons! We're pretty big Android fans around here, and we've got to talk about how the iPhone 5 matches up to Samsung's Galaxy S3 (Galaxy S III) -- both on paper and the whole "ecosystem" thing. We're not going to try to sway anyone either direction (we think having a choice is great), we just want to lay out all the data we have so far. Read on, let's get to it! Yes, we know there is a difference in the Galaxy S3 hardware in Europe and Asia. We're comparing the North American versions here. Don't worry, we'll be looking at the quad-core version as well when the iPhone 5 comes out. The biggest thing to take away here is the new screen on the iPhone 5. It's bigger, but more importantly it's now a 16:9 resolution, matching the Galaxy S3. This is important for two reasons -- it means you can watch video at native resolution without "black bars" and that there's now another screen size for iOS developers to contend with. We're not sure exactly what tools Apple has in place to help developers, but we're sure that apps will work well on the new iPhone. The screen itself still looks to be beautiful, and was just stretched a little in height to get the 4-inch size. We know how nice the screen is on the Galaxy S3, and while some will favor LCD over SAMOLED (and vice versa), we call this one a wash. Nice job Apple, I'm sure users will appreciate the changes. Of course, Apple doesn't care to get pumped about CPU or RAM specifications. They simply try to make sure their product has enough horsepower to perform in a way users will love. We can't fault them for that, it is the most important spec after all. We do know that the Qualcomm S4 in the North American Galaxy S3 is a beast. It brings great performance, great battery life, and when coupled with all that RAM makes things pretty darn future-proof. Until we know a bit more about the innards of the iPhone 5, we'll have to hold off on this round. This is an easy one. The iPhone comes in a 64GB version, the Galaxy S3 comes in a 32GB version that can hold a 64GB microSD card for 96GB of storage space. Samsung wins this round, but it's worth mentioning that most users will buy the 16GB version of each. Bluetooth 4.0, aGPS and GLONASS, Wifi b/g/n at both 2.4 and 5GHz is standard on both phones. Both have LTE and HSPA+ models for fast mobile data anywhere on the planet, and a full range of motion and light sensors. Things are looking good here, on both sides. But (there's always a but) -- there is no NFC in the new iPhone. Maybe you use NFC, maybe you don't, but I think everyone can agree that having the choice is better than not having it. There's also the matter of proprietary methods to share screen content. Both Apple and Samsung use proprietary tools, but Samsung does also support some standards with DLNA and HDMI. Not everyone has (or wants) and Apple TV or an iMac, and almost nobody wants to use iTunes. We have to call Samsung the clear winner here. This is pretty subjective. Some of us don't want or need "great big phones" -- and some of us just love them. The Galaxy S3 is bigger, but packs a much larger screen. Try them both, pick the one that feels better and give it a point here. We call it a draw. Until we have both phones in our hands taking pictures of the same subject, we can't call this one just yet. Suffice it to say either phone has a great camera. Head over to iMore and read through the great work the Mobile Nations crew has done previewing iOS 6. Next, have a look at Alex's definitive guide to TouchWiz. Both operating systems are fun, flashy, and feature-rich. They also both are starting to move closer and closer in features, with things like social network sharing, "do-not-disturb" modes, and browser syncing. We think it's great that Apple has finally built these options into the OS, even if it took a bit longer than it should have. But on the surface, the new iOS looks and acts just like the old iOS. Page after page of static icons in a grid, with none of that new screen real estate being used for things like widgets or other tools to enhance the user experience. Android does it, Windows Phone does it, even BlackBerry does it. 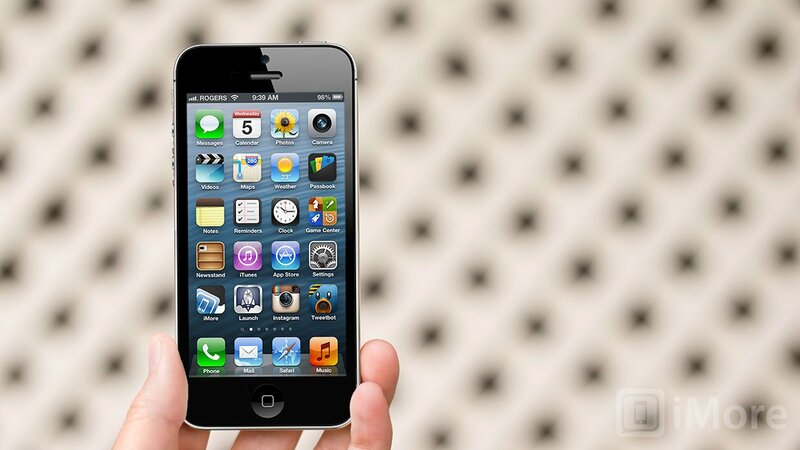 Some users want more than a colorful square icon on their home screen, and iOS 6 doesn't allow that. Maybe you only want a grid of icons, but you can't deny that choice and the freedom to do your own thing is good. Until Apple allows the same things that jailbreakers have been doing for over a year, the Galaxy S3 wins in the software category. Give your users what they want, Apple. Of course when the iPhone 5 goes up for sale we'll look it over and compare things directly, but we don't need to do that to know we like choice and "freedom" to make our phones they way we like them. Content is king. That's where Apple has the leg up on everyone else out there. The Appstore and iTunes is chock full of things people want, and provides a really easy way to get it. Android is catching up, RIM and Microsoft are trying hard, but today, right now, Apple has the content people want. The only thing that can come close is the Kindle Fire. But this comes at a cost, and that's Apple's closed policies. Nothing makes it into the Appstore or iTunes without someone at a desk in Cupertino saying it can go there, and users that want content Apple doesn't approve of are forced to void their warranty to get it. That's the reason many of us are here at Android Central and fans of Android. The best content in the world is no good if it's not allowed on your phone. To add insult to injury, the content you have on your iPhone is still hampered by the methods Apple uses to view and share it. Drag and drop, and open intents where third party apps are allowed access to documents and media makes the Android experience a bit more complicated, but to us, it's the only way we would ever want it done. The sheer volume of great apps, movies, and music Apple offers is offset by the controlling way they allow you to use it, and we think Android clearly has the upper hand here. Clearly, you should use the smartphone that fits your needs the best. Specs and bullet points are just a paper tiger, and can't be the deciding factor. But when we break it all down, we really think the Galaxy S3 has the edge over Apple's new offering. Millions will buy the new iPhone, even lining up around the block for it, but for consumers that value choices (like you and me) it's hard to top what Android and the Samsung Galaxy S3 offer. Update: iMore has their iPhone 5 vs. Galaxy S3 comparison up now as well. Go check it out!